Sharing a drink with someone when they can take a sip from the other side of your glass is reasonably acceptable. But that's just not possible with a canned beverage. You either agree to share their germs, or refuse to share at all. 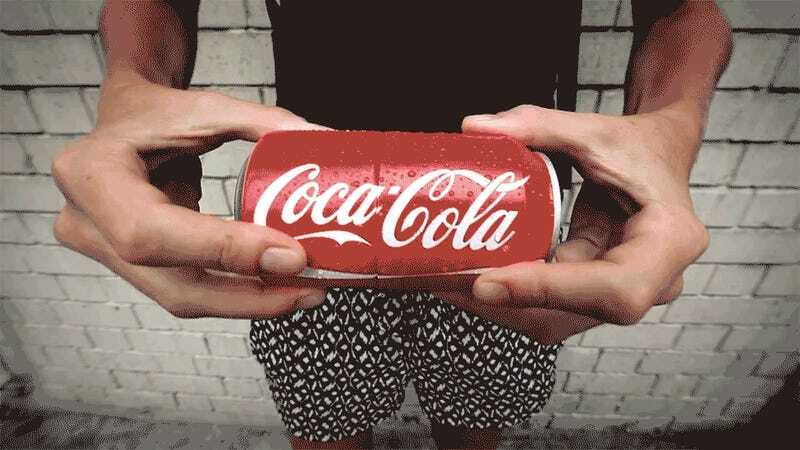 It's an age-old conundrum that Coca-Cola has finally solved with a two-in-one can that twists apart to make sharing easy. The cans were created in collaboration with Coke's ad agency in Singapore, Ogilvy & Mather, and were unfortunately only available in limited quantities. Hopefully the popularity of the campaign will encourage Coca-Cola to introduce these cans all over the world. Otherwise, it's back to using a hacksaw and a steady hand to share your canned sugar water with a friend. Or, you know, a glass.